Have you ever attempted to program your gps and found it searching for satellite? It won’t show your travel route until it first knows where you are… Finding your way in life is incredibly similar! You cannot get to where you want to go without first knowing where you are. 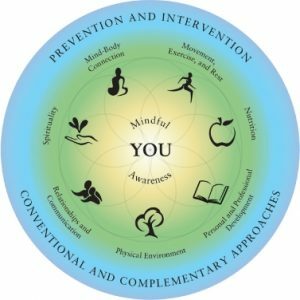 In helping you take charge of your health I’ll discuss the idea of a Personal Health Plan, where you are on your journey to health, the different philosophies of health, the various spokes of the wheel of health, and a course of the actions you do on a daily, weekly, or monthly basis to insure your future wellbeing. Because we are all at different places on our journey to health, we will each have a different plan. You will uniquely tailor your own program to suit your lifestyle and philosophy of health. The whole idea of a Personal Health Plan is that it is a decision to stay healthy and to take steps toward insuring your future success. (Madeira, 2006) My favorite definition of health is one that includes physical, social, emotional, and spiritual wellbeing; not merely the absence of disease. (WHO, 1948) This is a lifelong journey and those who value their health tend to keep the bigger picture of their life in view at all times. They tend to consciously ask themselves what consequences will doing a certain thing, or not, have on their life. With that in mind, know that you are building awareness here. You are defining your interpretation of yourself, your personal health wheel, and getting specific about what you want. Some of us are healthy and want to stay that way. Some of us are facing a health challenge or crisis that is new. Some of us are managing chronic illness. Whether you have survived a health crisis and want to insure it never comes back, or want to take your current health to new heights, a Personal Health Plan will help you succeed. No matter where you are on your journey, I want to encourage you to make your choices from a place of self-love. I’m sure you’ve heard the saying, “it’s a journey, not a destination”. I understand what it is like to be in a health crisis and just want to be well so, please understand I am not making light of that urgency. However, to frantically push toward a desired end with a rigid list of to-do’s will not serve you and is not sustainable. Plus, you’ll miss out on the gifts you have the potential to receive even while in crisis. If you owned a million dollar race horse, what would you feed it? Would you exercise it? Would you keep its environment clean? Would you give it plenty of rest, sunshine, and fresh air? Of course you would! The reason you would is because this isn’t just any horse… this is a million dollar race horse! (Madeira, 2006) Have you guessed it already? Yes, you are the million dollar race horse. Why would you do any less for yourself? For the parents reading this, I know you want the best for your children and you know they learn through observation. Lead by example. Love yourself enough to treat yourself as you would your children so they can learn to do this for themselves. Our ability to love is infinite. I promise you, if you love yourself more you won’t be taking anything away from them. You’ll be giving them more than you can imagine. The medical model is based in the mechanistic philosophy. It is the most beneficial in emergency scenarios. If your kidney is failing or you’ve broken a bone, that is the approach you want to utilize. When faced with chronic illness you’ll want to look to the modalities steeped in holism. Within the vitalistic philosophy you will choose to add to your lifestyle the actions and traditions you’ll utilize whether you are sick or well. There is no singular be-all-end-all. There really isn’t necessarily one right answer. It is what is right for you, right now. And, that may change too. Life and growth are a dynamic evolution. Once you’ve chosen your primary philosophy of health, you’ll develop your personal health wheel out of that foundation. 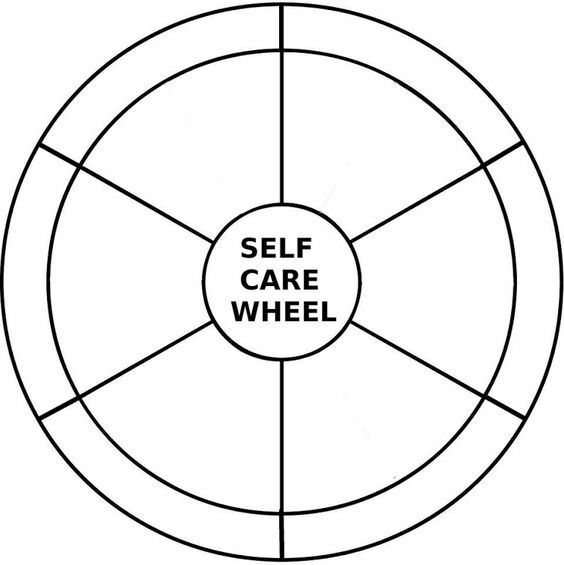 I’ve included for you some examples of a health wheel along with a blank one you can use to create your own. 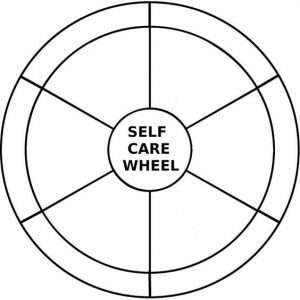 (Unknown) First I’d like you to notice on the blank health wheel there is a center circle. Out of your health philosophy, choose one to three traditions as your primary healthcare that supports your philosophy and place them in the center: Acupuncture, Aromatherapy, Ayurveda, Biofeedback, Chinese Medicine, Chiropractic, Energy Medicine, Faith Healing, Feldenkrais Method, Functional Medicine, Gestalt Therapy, Herbalism, Homeopathy, Hydrotherapy, Hypnotherapy, Iridology, Kampo Medicine, Massage Therapy, Meditation, Naturopathic Medicine, Osteopathic Medicine, Polarity Therapy, Pranic Healing, Prayer, Qigong, Rebirthing, Traditional Medicine, or Yoga Therapy. Next you’ll choose the different facets of health which are important to you. 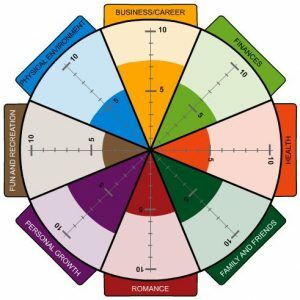 The most common and in no particular order are physical, spiritual, recreational, professional, social, emotional, mental, financial, romance, creative, relational, environmental, and family. You might choose 6-8 fundamental aspects of health that the other parts fit into: rest, exercise and nutrition can all fit under physical. These go in the top heading of each wheel spoke. Below each heading you have space to get specific and detailed. You have within you the ability to know what area of your life needs your focused attention to reach your health goals. Simply evaluate yourself on the wheel. There is an example wheel that is multi-colored with tick marks to help quantify the level of health achieved in that category. (Baker, 2013) If you think of this wheel as representing the wheels of your car, how well you are able to travel to where you want to go is determined by how even your wheel is. Are you slowly rolling along; moving fast and furious, or having a hellacious rickety ride? Balance is over-rated; 10% all around is a pretty smooth ride… What do you want your life to be? After you have chosen which areas to work on, you can get down to the details of who will help you with your action steps. We are not meant to do this alone. Find practitioners within the traditions you placed at the center of your wheel who can walk with you along your journey. They will help hold you accountable while giving you the support you need. We have incredibly principled people right here in Flemington! Get started right now: print one of the sample wheels to put on your fridge, computer, and car dashboard to inspire ideas. (University, 2014) When thoughts come to you about what you want for yourself, journal them or use a voice recorder on your phone. You’ll build upon this with time and allow the specifics (both qualitative and quantitative) to unfold. If you want support from me, don’t hesitate to reach out. I can help you find a practitioner you are looking for or guide you through some choices in an upcoming workshop where we’ll turn our health wheel into a vision board. I’ll leave you with a quote from Jim Rohn, “If you don’t design your own life plan, chances are you’ll fall into someone else’s plan. And guess what they have planned for you? Not much.” No matter where you are on your journey toward health, you can make choices today that will lead you where you want to go. Surround yourself with people who help you passionately move toward self-actualization! Madeira, J. (2006). Developing Your Personal Wellness Plan. Setting Things Straight (p. 1). Madeira Success Strategies.